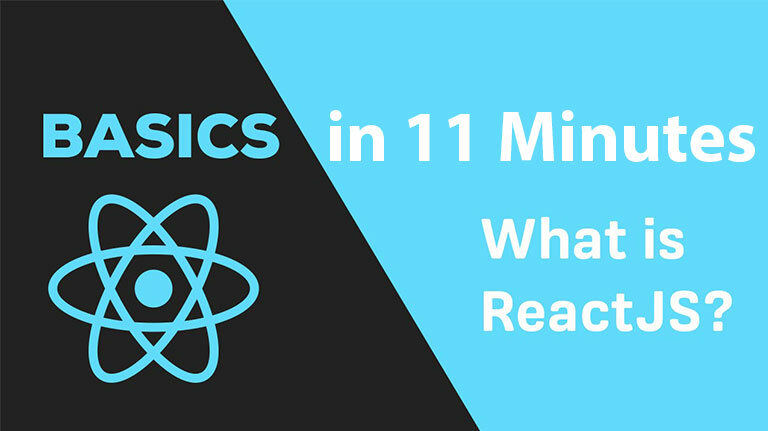 If you are new to React.js this tutorial will give you introduction to all basic concepts in react. DOM(Document Object Model) is the UI components, like elements, attributes. Virtual DOM is node tree listing of components, which is light weight in memory representation of real DOM. The render() method in react creates it. Each time the underlying data changes, new virtual DOM is created, comparing differences between previous virtual DOM and only the changes are updated in real DOM. So, the special thing about ReactDOM.render() is that it only updates DOM elements that have changed. Aha!!! Each JSX expression must have exactly one outermost element. Usually wrap the JSX expression in a <div></div>. In HTML its optional to include forward slash for self-closing tags like br, img, input, etc but not in JSX. Conditional operations, if else and && are pretty much same. Event listeners same as HTML. It is not mandatory write JSX, you can write the whole code in React.createElement, but I won’t recommend that. A component is a small reusable chunk of code that is responsible for one job. Usually to render some HTML. We can use multiple JSX in a component. ‘this’ refers to the object on which this’s enclosing method. A React application can contain dozens, or even hundreds, of components interaction with each other. Information that gets passed from one component to another is known as ‘props’. Every component’s props object has a property named children, this.props.children will that returns everything in between a component’s opening and closing JSX tags. I am a child of BigButton. If nobody passes any text to component, then component display will be blank. It would be better if component could display a default message instead. That’s where defaultProps comes into picture. A React component can access dynamic information in two ways: props and state. Unlike props, a component’s state is not passed in from the outside. A component decides its own state. this.state should be equal to an object. To read a component’s state, use the expression this.state.name-of-property. There is a stateful component, and a stateless component. “Stateful” describes any component that has a state property; “Stateless” describes any component that does not. Pretty simple, eh! Stateless components updating their parents state is a React pattern that you’ll see alot. A component can change its state by calling this.setState() but a component should never update this.props. A React component should use props to store information that can be changed, but can only be changed by a different component. A React component should use state to store information that the component itself can change. Child component can update the parent’s state as shown in below example, by passing a function down to child that can change parent’s state. Please note: binding at constructor level to make sure the method always refers to the instance of parent. // When a user selects a new dropdown item, it will invoke // changeName, but it won’t pass the correct argument! Instead of // passing a new name, it will pass an event object, as all event // listeners do. This is a common problem when passing down an event // handler in React! The solution is to define another function that // can extract the name from the event object. // listeners do. This is a common problem when passing down an event // handler in React! The solution is to define another function that // can extract the name from the event object. When passing down event handler it will pass event object, so we need another function in child to extract the name from event object. So stateful parent component passes prop to stateless child component, stateful parent component passes event handler to stateless child component and the child component uses event handler to update parents state. We can also update sibling components. An uncontrolled component is a component that maintains its own internal state. A controlled component is a component that does not maintain any internal state. Since a controlled component has no state, it must be controlled by someone else. One style can be shared across multiple components separating presentation components from display components. We all know forms from html. In react, for certain cases, it’s fine to have a form that is really just an input field. This is because, unlike in the traditional form paradigm, in React you re-send your form on every single character change. That removes the need to ever “submit” anything. Lifecycle methods are methods that get called at certain moments in a react component’s life. componentWillMount: When a component renders for the first time only, componentWillMount gets called right before render. render: We talked about it all along. componentDidMount: When a component renders for the first time, componentDidMount gets called right after the HTML from render has finished loading. componentWillReceiveProps: When a component instance updates, componentWillReceiveProps gets called before the rendering only if the component will receive props. shouldComponentUpdate: shouldComponentUpdate automatically receives two arguments: nextProps and nextState. It’s typical to compare nextProps and nextState to the current this.props and this.state. If shouldComponentUpdate returns true, then nothing noticeable happens. But if shouldComponentUpdate returns false, then the component will not update. componentWillUpdate: componentWillUpdate gets called in between shouldComponentUpdate and render.It receives two arguments: nextProps and nextState. We cannot call this.setState from componentWillUpdate. Its main purpose is to interact with things outside like checking the window size or interacting with an API. componentDidUpdate: componentDidUpdate automatically gets passed two arguments: prevProps and prevState. prevProps and prevState are references to the component’s props and state before the current updating period began. You can compare them to the current props and state. componentWillUnmount: It gets called right before a component is removed from the DOM. That’s it. We are done, go get your amazing React applications. Thank you for reading. If you have been wronged, treated unfairly, or provoked, you should get angry.